The below image was taken to demonstrate my Kerastase results, but you can see the colour quite nicely. You can read my earlier post on Kerastase here. Any way I stuck with it for a few months, but the roots starting coming through and it was time to wave goodbye to it. I decided I wanted to go a plum/purple tone with hints of red, I was concerned also that my hair wouldn’t take well and I’d end up with Gothy/ Fake black hair. BIG MISTAKE! I should have known that DIY Home Hair colouring would spell disaster for me! IT’S ME for goodness sake! Anyway to cut a long story short I accidentally mixed up the boxes and ended up dyeing my hair with one Ultra Violet and one Mystic Violet. Serves me right for being indecisive! It’s like my mind made the decision to put them both in and problem solved! AHH nightmare! by the time I realised it was way too late! I washed it out just praying it wouldn’t be that dreaded fake black with a tinge of burgundy in it! To my horror, my dread became reality as I realised that my hair is the exact colour that I have been trying to avoid! I could have cried! My sister Lea Lea tried to console me, but no I was having none of it! I explained the situation and Lee was sympathetic, to quote her words she said “So you’re just one set of False Acrylic nails and big earrings away from being a Chav?” Lol too right! However I am grateful to her as she went on to tell me what I needed to buy and do to sort it out! 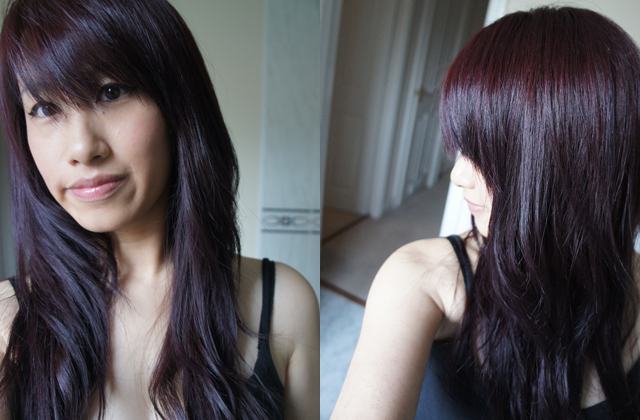 This is the result of my at home DIY Hair Colouring using Schwarzkopf Igora Royal Intense Hair Dye. As you can see it’s VERY Bright! I hope that I will be able to maintain it’s vibrancy with John Frieder’s Radiant Red Range which is meant to help retain, magnify and enhance the red tones in coloured hair! I’ll keep you posted with how I got on! It’s very bright in real life, to the point where I don’t think I can wear black clothes anymore! It just doesn’t sit right! But I’m loving the hair, so if that means shopping for new clothes then I’m up for that haha! Tags: Colour Live xxl, Do it yourself, Hair, hair bleaching, Hair care, hair color, Hair colouring, Hair dye, Igora Royal Intense 9-998, Mystic Violet, Peroxide, Purple hair, Red Hair, Schwarzkopf, Ultra Violet. Bookmark the permalink. 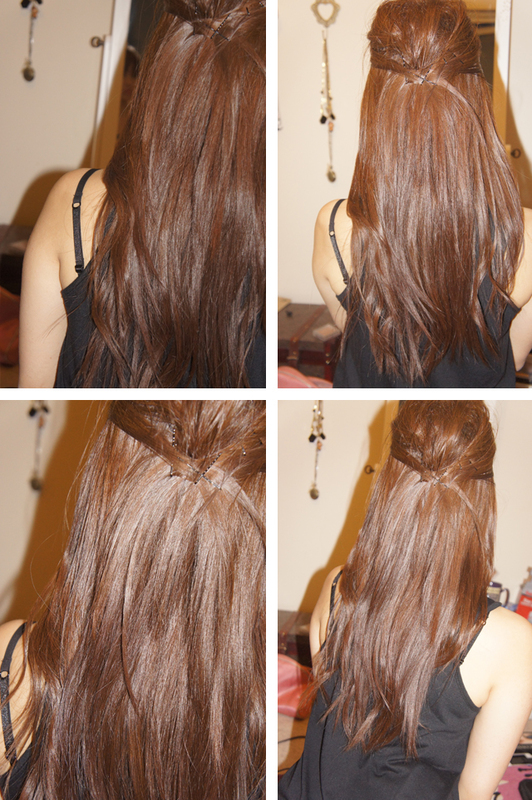 My hair used to be that color! I actually loved wearing black still, even with the brightness, but that’s just because I can’t live without black clothes lol. I love the color on you after it was fixed, very edgy :) Have fun shopping for your new outfits!! Aw thank you! I caught my reflection in a mirror whilst shopping today! My god it is bright! Looks even more crazy with the spotlights shining on it! It may take a while for me to get used to this! I had a nightmare trying to find clothes that go with it too! haha what have I done! My God! I really really like your black-violet color! In fact I think it suits you waaay better than red one. Hope you will not feel offended :( … but really… I will have to follow your advice to mix two XXL hair dyes to get such a beautiful hair color! Hehe Thank you! 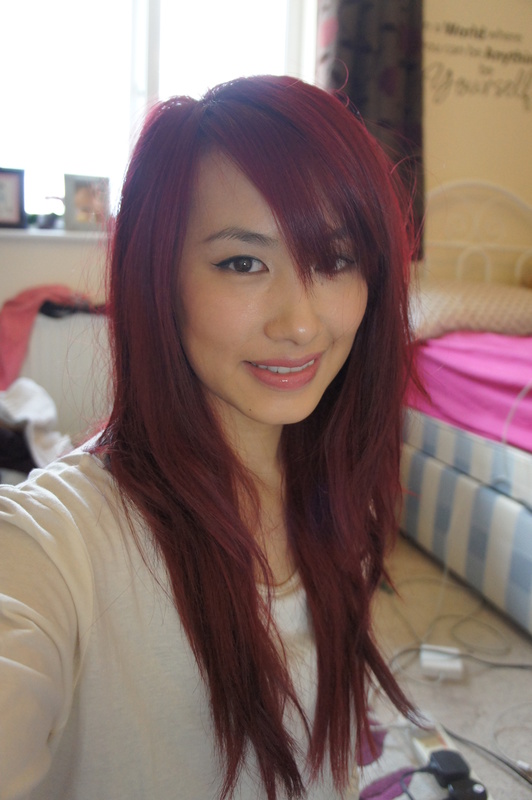 The red fades quite a bit after a while, and I’ve since gone back to a dark brown lol! but the red keeps coming back through! Such a nightmare hehe! Yeah I know. 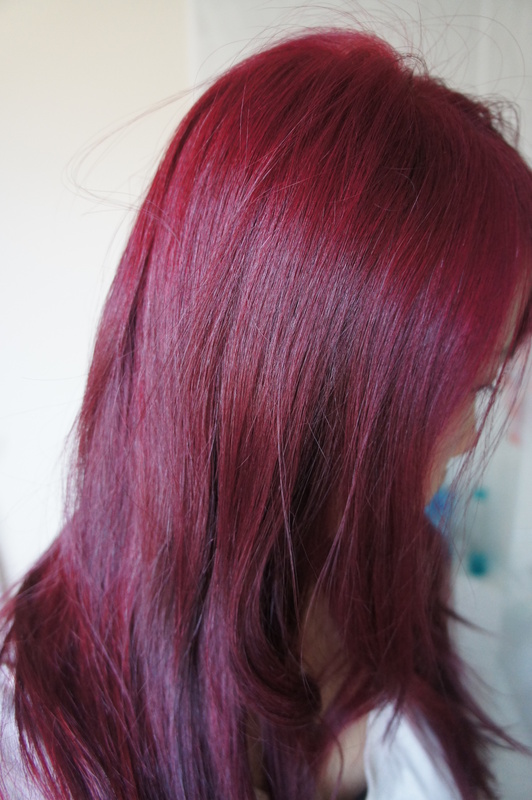 I have a red pigment in my hair naturally and when my hair dye washes out, even if it was black (! ), the red always shows through after 3-4 weeks! 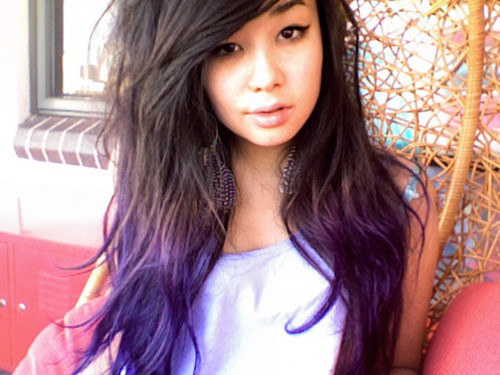 Hello – can u please tell me which shade of Schwarzkopf Igora Royal Intense Hair Dye you used to get it that colour …. I can see the code on the purple bottle has a 9 in it but cant make it out? Hi loves your red hair. How do you manage to dye from black to bright red. Do you need to bleach first? I am curious and will like to try it out. I have black hair. Can you teach me how? Hi Evon, thank you! Yes I had to Pre lighten it first with Bleach. Mix Creme developer and Pre- lightener (I used powder). Once I left it on for long enough I washed it out and applied my hair dye which I got from Sally’s. Hi could you leave instructions for how you pre lightened your hair please? Well you made a mistake by listening to dumb hairdressers. They bleach bleach bleach. No need at all. You can use a product called Colour B4 and it would’ve removed the dye you had already put on, and since you used an intense dye (Live XXL), it would’ve lightened your natural colour pigmentation. So basically, Colour B4 reverses the process of artificial colouration by shrinking the dye molecules. You then rinse the product out and water is just clear, you buffer the hair with this special shampoo and then it’s all done. ZERO damage, no bleach, no harsh chemicals. It’s brilliant stuff and you can dye hair again straight away. So if you had done this, your hair likely would be orange underneath the Live XXL dye and that would be perfect to apply a vegetable dye such as Crazy Colour, Manic Panic or Directions. These are amazing dyes that are like paint. 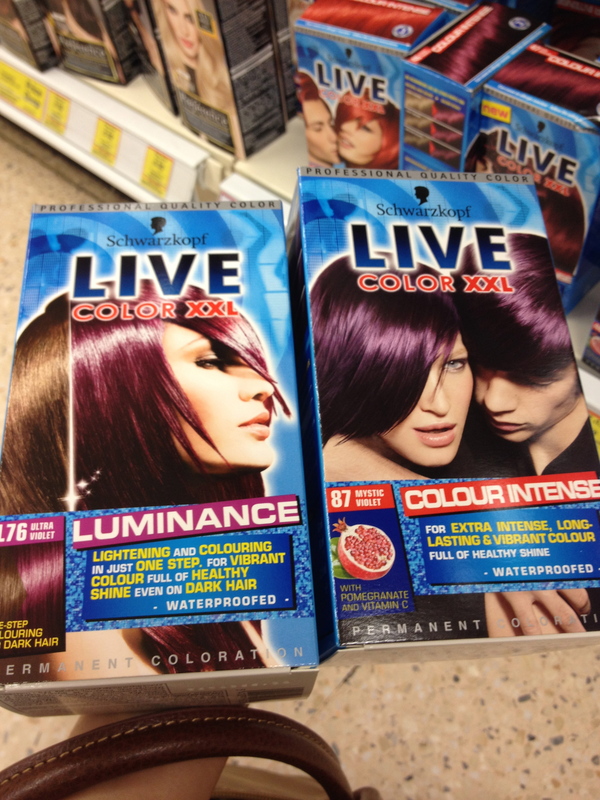 They are essentially a conditioner and just gloss the hair and give it vibrant and AMAZING colour. So, don’t rely on hairdressers. You don’t need degrees or qualifications to know hair science, the hair colour wheel and textures, what different dyes do etc. Just need common sense, logic, and a research behind your back. Bleach is nasty stuff and unnecessary on already dyed hair when wishing to go lighter. You think your hair is bright here?! It can go much brighter and more vibrant. PS, I love the dark colour on you, no idea why you call it ‘gothy’ seen as you are obviously Asian and most have blue black hair anyway. Wow, we sell this range at colourenvy.co.uk come have a look? We’d love to feature your blogs if you would allow us?